Join us on for a special Introduction to 3D Printing Workshop, where we’ll be learning the ropes of 3D modeling by making our own bespoke accessories. 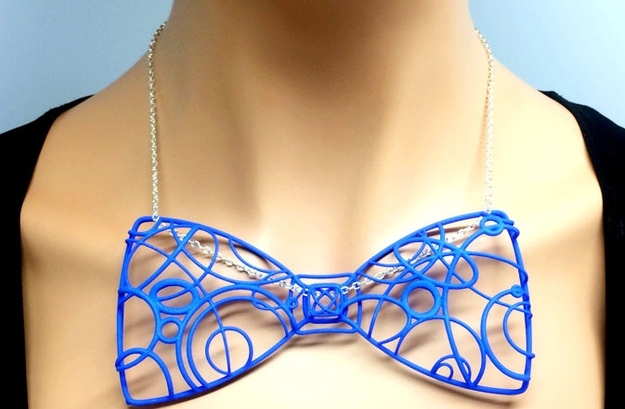 In this class you’ll get to design a unique accessory to be 3D printed. Come with a few ideas and we’ll show you how to make your design a reality. Whether you’re a wiz-kid on the computer or haven’t so much as opened a spreadsheet in eons, we will walk you through the basics of a browser-based 3D modeling program called Tinkercad. You’ll learn all you’ll need to know to prototype an accessory. By the end of the class your creation will be ready to go to print, and in just one week you’ll be able to pick it up at MODA. This fee covers everything you need to bring home your own 3D printed planter. Fee also includes admission to MODA’s current exhibition, Passione Italiana: The Art of Espresso. This workshop is appropriate for ages 16+. Native Atlantan, Brigid holds a BA in History from the University of Georgia with a focus on Economic Culture, Aesthetics, and the Luxury Debate. Brigid completed her Orton-Gillingham Practitioner Certification with the Academy of Orton-Gillingham Practitioners and Educators and brings design experience from a prior career in horticulture. She creates curricula and teaches classes infused with the design process blending design thinking, project based learning, and other forms of learner-driven, open-ended, experiential learning to build cultures of innovation and collaboration. Brigid's students combine sketching and drafting with STEAM tools to execute designs that demonstrate critical thinking and functionality.